Take one city steeped in tradition and fortified with a tenacious spirit. Combine it with a cross-cultural fusion of food and flavors built on the culinary history of seven nations that contributed to its unique flavor. Toss in two world-famous chefs with very different backgrounds, and what do you get? 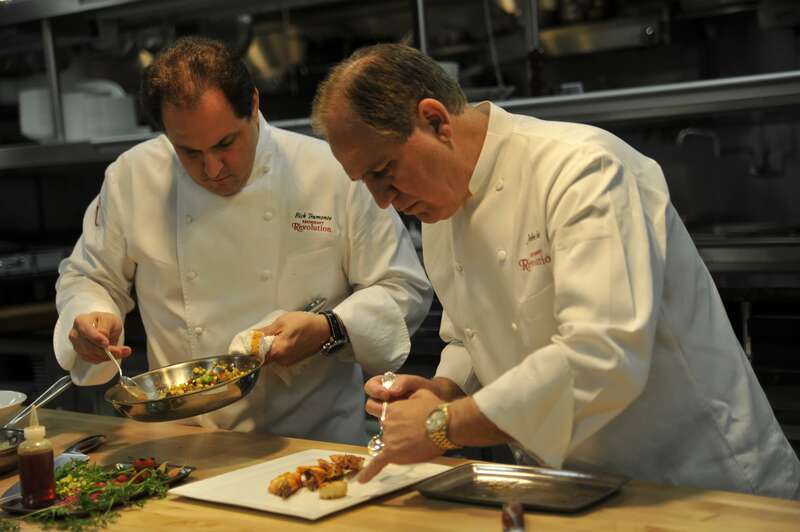 Restaurant R’evolution, the first joint venture of award-winning chefs John Folse and Rick Tramonto. 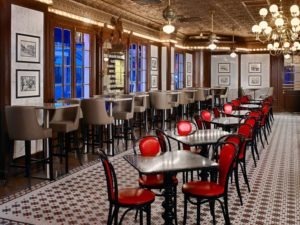 Offering modern, imaginative reinterpretations of classic Cajun and Creole cuisine, Restaurant R’evolution opened in June 2012 at Royal Sonesta Hotel New Orleans, in the heart of the city’s legendary French Quarter. This partnership also delved into Louisiana history, exploring the significant culinary contributions of each of the seven primary nations that inhabited the state, bringing raw ingredients from their native countries and cross-pollinating with their gastronomic traditions. The result will be a fresh and contemporary translation of Cajun and Creole cuisine, using Louisiana’s raw ingredients and building upon the history and traditions that define New Orleans. It is important to realize that cultures and cuisines constantly evolve. This evolution process is brought about when new ingredients and ideas are introduced into a region. Here in South Louisiana, the evolution process may be witnessed at every turn. Today is more and more difficult to distinguish the Cajuns form the Creoles-but it is important to understand the foundation of Cajun and Creole cuisine to understand the direction our Louisiana Cuisine has taken. The Creoles were the offspring born in New Orleans of European aristocrats who were lured to New Orleans by the Spanish in the 1690’s. Most were second born sons, who could not inherit land or titles in their native countries where the first born son received all these gifts. So the second born sons were offered the opportunity to go to the “new world” to seek their fortunes-and many were successful. To- day the term Creole in New Orleans represents the native born children of the intermarriage of the early cultures which settled New Orleans. These include the Native American, French, Spanish, English, African, German and Italian and which also defines the Creole cuisine that came from this intermarriage of cultures. 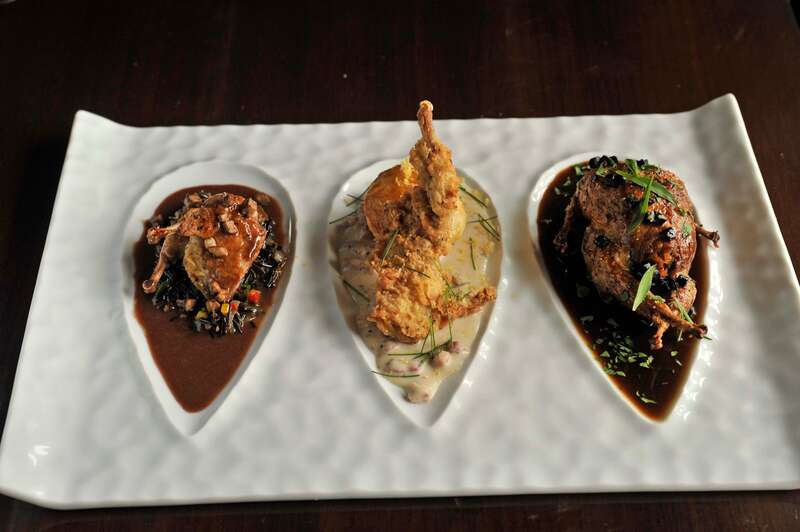 The influence of all these cultures is very apparent in the Creole cuisine. 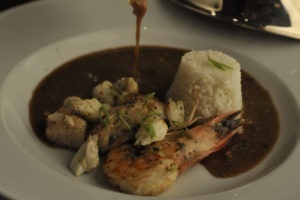 A easy example is the Bouillabaisse soup from France which led to the creation of Creole gumbo. The Spanish actually gave us from their paella the jambalaya of Louisiana. The Germans brought to South Louisiana their knowledge of charcuterie which led to the fine sausages of the region. The West Indies and Haiti gave Louisiana exotic vegetables and unique cooking methods like braising and sauce piquantes. And of course the native Indians introduced the settlers to local produce, wildlife and seafood. Important ingredients like corn, sassafras leaves and file powder and bay leaves added to the culinary melting pot. The cuisine of the Cajuns is a mirror image of their unique history which reflects their ingenuity, creativity, adaptability and survival. When the Canadian French exiles arrived in South Louisiana in 1755 they were already well versed in survival. The French Canadians found a new home in French influenced Louisiana which welcomed their Catholic religion and similar customs from France. As wave after wave of refugees found Louisiana their Acadian homeland was reborn. They made their homes in the swamps and bayous of the South Louisiana which embraced their joy of living from the land. Armed with their black iron pots, the Cajuns as they came to be known, utilized what foods were indigenous to the area of South Louisiana. None of the exotic spices of Europe was available to the Cajuns in the Bayou country, instead they were happy to live off the land which was abundant with fish, shellfish, wild vegetation, local herbs and wild game. Jambalaya, grillades, stews, fricassees, soups, gumbos, sauce piquantes and stuffed vegetables are all characteristic of those “one pot meals”. 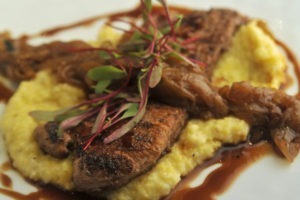 Cajun cuisine is a “table in the wilderness”, a creative adaptation of indigenous Louisiana foods. So, South Louisiana has two rich histories and cuisines: the Creole cuisine with it’s rich array of courses reflecting their close ties to European aristocracy and the Cajun cuisine with it’s one pot meals, pungent with the local flavors of the land’s seafood and wild game. 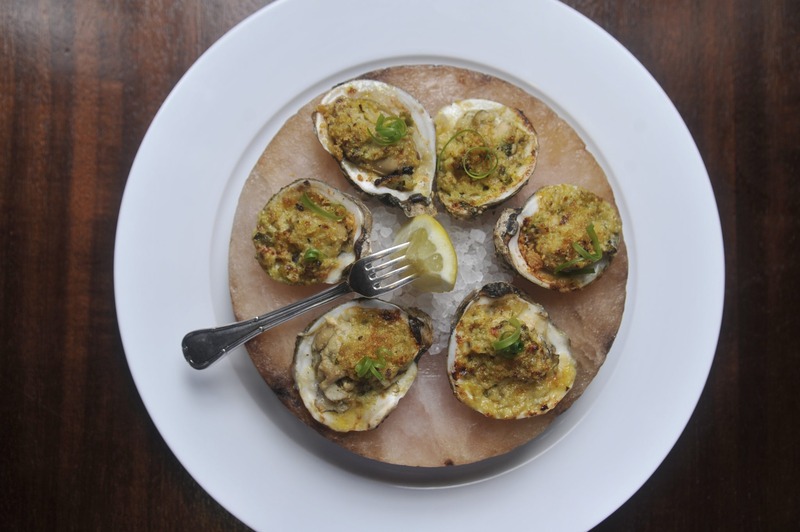 Readers please note that this explanation is taken straight from the history of Creole and Cajun cookery as defined by Chef John Folse-the country’s renowned expert on Louisiana Cuisine and one of the two partners of Restaurant R’evolution. A “kitchen,” commonly defined as “a room or an area equipped for preparing and cooking food,” is anything but a simple room at Restaurant R’evolution. The heart of the restaurant, the kitchen is the epicenter at which creativity, inspiration, collaboration, and innovation all begin. 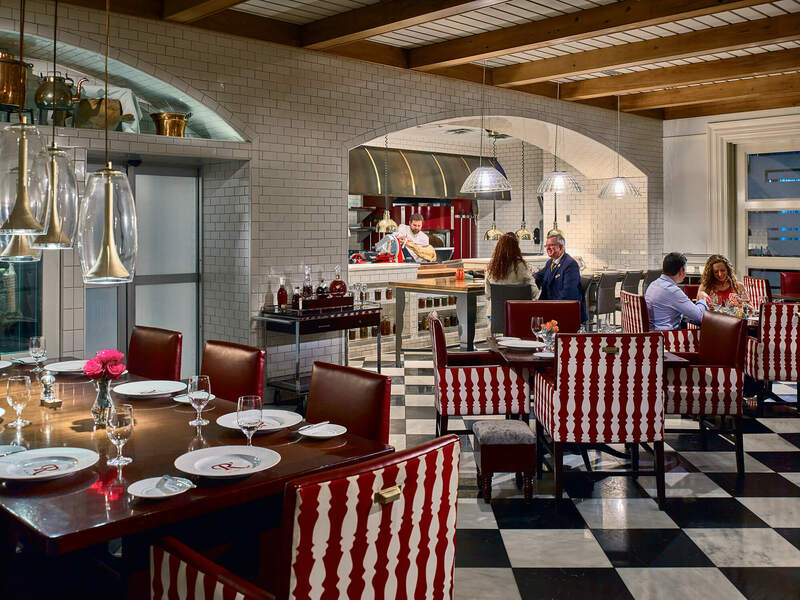 Under the helm of chefs John Folse and Rick Tramonto, Restaurant R’evolution’s two kitchens – one standard and one open-exhibition – service the seven distinct dining rooms that make up the restaurant. In addition to working with distinguished architects and interior designers for the front-of-house spaces, creating a workspace equipped to service the complex and challenging needs of the culinary team was a top priority in the renovation of the historic Royal Sonesta Hotel and building of Restaurant R’evolution. In collaboration with NOLA Restaurant Supply, the Restaurant R’evolution team developed a design plan for the entire kitchen package of the restaurant. From best-possible station layouts to customized equipment to a “R’evolution Red”custom Viking Kitchen Suite, chefs Folse and Tramonto worked closely with the developers to create the ultimate cooking space and nerve center for culinary operations. Not an ordinary kitchen by any stretch, the comprehensive collection of equipment assets that make up the kitchen at Restaurant R’evolution allow the culinary staff to create the distinguished Creole & Cajun cuisine encompassed in the ever-changing menus at the restaurant. Customized equipment is a key factor in helping to support the culinary processes of the chefs. Glass doors on walk-in coolers make finding and storing product more efficient, as do suspended shelving units. Layout is also significant – the location of each station is designed to create a harmonious and efficient workflow for the bustling kitchen team. Kitchen “toys” also add to the one-of-a-kind appeal of the space. Some include the J&R Rotisserie, a battleship of a machine that roasts everything from whole hogs to fresh salmon; the 100% customized Viking Kitchen Suite is not only heavy-duty, but the first custom-color kitchen the company has ever created; and the Viking smoker, the source of the restaurant’s extensive charcuterie program, as well as a variety of other house smoked and cured offerings. In addition being an effective workspace, the design, look, and feel of the space is something of beauty. Taking a cue from the spectacular interiors throughout the restaurant space, the kitchen follows suit in many ways. Granite, marble, and wood countertops create sophistication in the open-exhibition kitchen located within the Market Room. Over the counter, guests can take in other kitchen sights, including the customized glass-door aging cases, as well as a wood burning oven – something not found in most New Orleans’ kitchens – cooking up everything from whole roasted fish, mussels, small plates for Bar R’evolution, and much more. Another behind-the-scenes kitchen component is the restaurant’s chef’s table, located on the second floor, just above the kitchen. The space – a glass-enclosed office where the chefs often sit and watch the happenings below – can also offer diners a “chef’s-eye-view” of the kitchen action for the utmost in private dining, with customized tasting menus available for such special occasions. 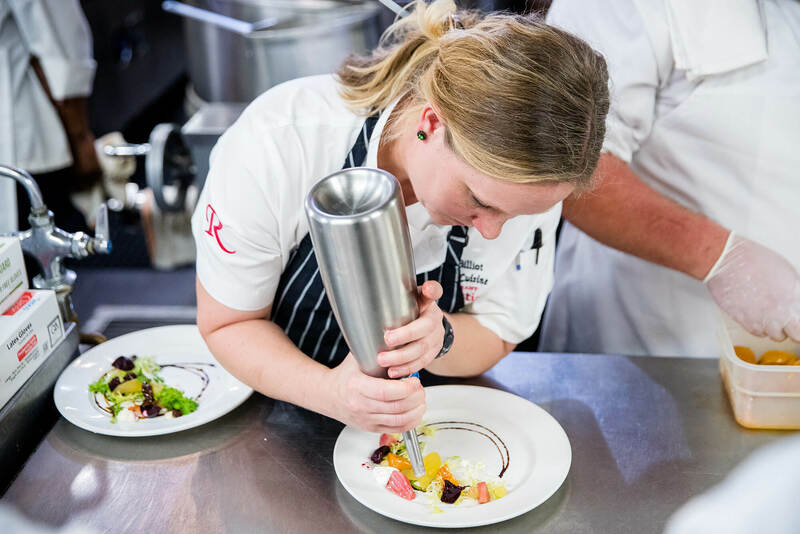 More so, kitchen tours are offered to guests interested in exploring even further the intelligent design and contemporary equipment that creates the imaginative cuisine served daily at Restaurant R’evolution. For the chefs, the design of a kitchen is akin to fashion design. Suffice to say, the end result achieved the chefs’ goals of a kitchen just as beautiful as any dining room across the multi-faceted restaurant property. Royal Sonesta New Orleans, a member of the Sonesta International Hotel Collection, is located in the heart of the historic French Quarter on one of the world’s most famous entertainment corridors, Bourbon Street. 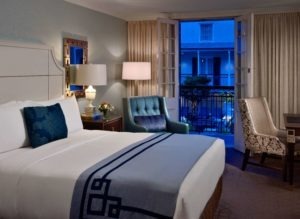 Each of the 483 guest rooms are newly renovated and offers views of vibrant French Quarter life, a stunning pool and patio terrace, or the lush tropical courtyard and fountain. In addition to the Restaurant R’evolution, the Royal Sonesta New Orleans boasts several dining and entertainment venues. The hottest jazz club in town, The Jazz Playhouse, presents jazz legends and emerging young artists on their rise to the top seven nights a week. From Restaurant R’evolution enter the interior courtyard and you will begin to hear the sounds of jazz. Located just inside the hotel’s main entrance with complimentary general admission. 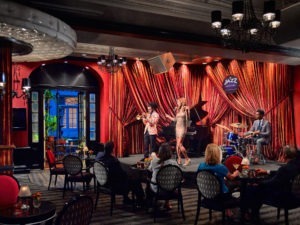 Perfect spot for an after dinner drink and live entertainment. Desire Oyster Bar is a casual street-side bistro serving fresh Louisiana seafood daily including oysters chargrilled or on the half shell, as well as traditional New Orleans cuisine. 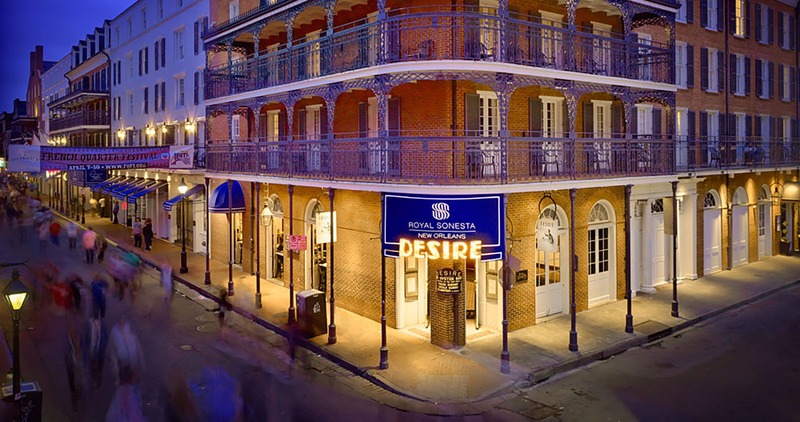 Located on the corner of Bourbon and Bienville and Street, Desire offering Breakfast, Lunch and Dinner daily. LeBooze Lounge on Bourbon Street is the perfect place for cocktails and people watching while enjoying the lively street scene of Bourbon Street.